After 15 years of serving the greater Chapin area, Chapin Pharmacy is proud to introduce free delivery to the Chapin, Little Mountain and White Rock Area. 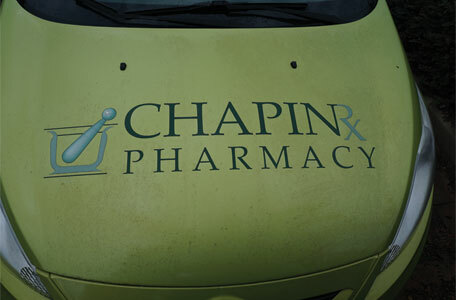 Be on the lookout for the Chapin Pharmacy Delivery Car covering the area to better serve our community. Please call (803) 345-1114 before 2pm daily to arrange for delivery.